While on my early walk, I pass a Community Pea Patch Garden and yesterday a tall stately plant caught my attention. Sunflowers always brings a smile to my heart. That particular morning it also brought a song to my voice. Thankfully there were only a few bunnies, squirrels, and crows wondering about the crazy lady singing about Sunflowers. Well this also peaked my interest to research this nature’s gift, which is always fun to share. Wild sunflowers color the earth, bring joy to flower gardens and ornament homes as a cheerful bouquet. The color yellow, especially natural yellow, is proven to be a mood lifter that energizes a space and enlivens your spirits. These plants are native to North America, Peru and Mexico. Both the Inca’s and the Aztecs worshipped Sunflowers. The seeds, flowers, leafs, stem and root all have uses. Sunflower seeds are rich in magnesium, potassium, selenium, zinc and iron. Eating these seeds improve digestion, brain power, and functioning of the cardiovascular system. 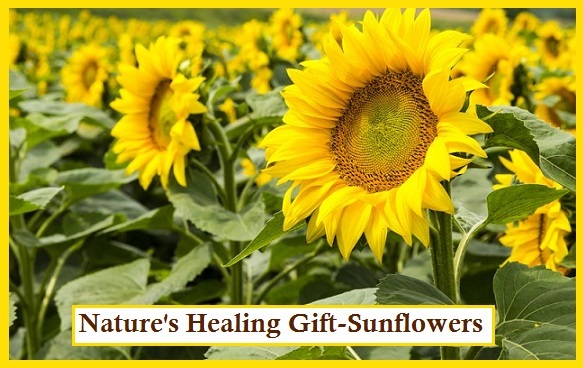 Sunflower oil prevents heart diseases and is a great skin moisture retainer. 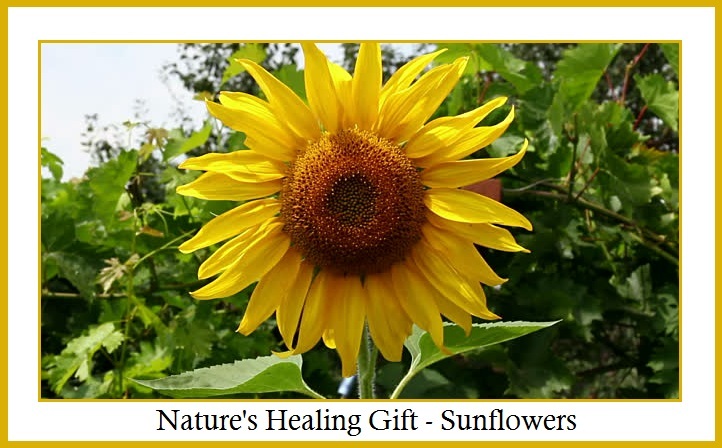 Fukushima power plant in Japan has urged residents to plant Sunflowers because of leaking radioactive material. They help to absorb cesium from the soil. Sunflowers and plants with similar biology were also used in radioactive cleanup efforts after the Chernobyl disaster in the Ukraine. These happy looking plants represent a hopeful beacon and a symbol of reconstruction. What a magnificent thought to encourage more Sunflowers to be planted all over the world!